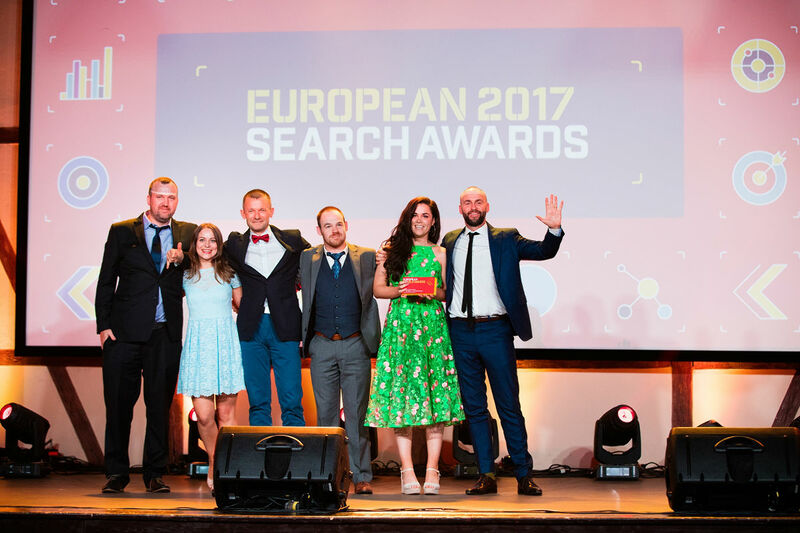 We’re back from a belter in Krakow where we landed two massive gongs in the European Search Awards, where we were the joint most awarded agency on the night. Here’s the latest from our European adventure. The European Search Awards are in their sixth year of celebrating the very best in European SEO, PPC, Digital and Content Marketing. The winners were chosen by an international panel of search industry leaders during a rigorous judging session and reflect the strength and vibrancy of the SEO, PPC and digital marketing industry across the continent. Irish people are mighty proud of singer Johnny Logan. He’s brought European glory home to our island twice, winning the 1980 and 1987 Eurovision Song Contests. Wolfgang is proud to bring home the bacon for a third consecutive year, eclipsing the mighty Logan. Our 2017 European double includes ‘Best use of Search in Finance’ for our work with Zurich Life and ‘Best Integrated Campaign’ for our work with Littlewoods Ireland. That brings our total European Search Awards tally to 7 since we blazed onto the scene with a ‘Grand Prix’ win in 2015. Feel free to have a gander at our trophy cabinet and if you want to give your business a digital boost with one of Europe’s leading performance agencies, give us a shout.